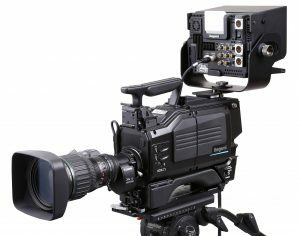 Ikegami will demonstrate the latest additions to its product range at the March 12-14 2019 CABSAT exhibition in Dubai’s World Trade Center. The show is the largest of its kind in the Middle East, attracting visitors from Africa right across to India. 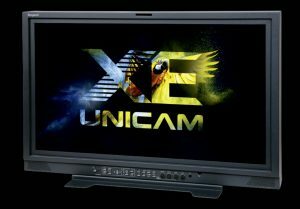 Featuring on the Ikegami stand, E3-20, will be four cameras (UHK-430, HDK-99, HDK-73, and HDL-45E) as well as four production monitors (HQLM-3120, HLM-2460W, HLM-1760WR and HLM-960WR). Additional features include 12G, SQD, 2SI, 3G, and IP CCU outputs plus an integral processor which allows 40 gigabit/s uncompressed full bandwidth video transmission. In its standard form, the UHK-430 weighs just 4.5 kg and comes with a 2-inch viewfinder and portable lens. Dimensions are 149 mm wide x 243 mm high x 340 mm front-to-back. 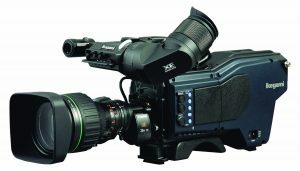 The integral Ikegami AXII processor enables the UHK-430 to deliver a wide range of features power-efficiently, including a 16-axis color matrix and focus-assist for 4K and HD video modes. BT.2020 extended color space specification is supported in 4K mode. BT. 709 color space is supported in HD modes and can also be switched in during 4K operation. Integral to the HDK-99 is the Ikegami AXII processor which allows fast and precise color matching for live multi-camera applications. A lens aberration correction function minimizes resolution loss and colored edging caused mainly by optical lens deviation. Quick EZ Focus Assist enhances the viewfinder signal, enabling the camera operator to make critical focus adjustments. Area size, area color, edge color and display time on the viewfinder are all adjustable from the camera menu. The HDK-73 is a dockable multi-role high-definition camera designed for standard-dynamic-range and HDR broadcast production. It is available as complete system including CCU, connecting fiber, viewfinder and remote control. Image capture is to 2/3-inch 2.6 megapixel CMOS sensors, each capable of 1920 x 1080 resolution images with an extremely wide dynamic range of 1,000% in HDR mode, high sensitivity (F13 at 50 Hz) and high signal-to-noise ratio. The sensors natively support 1080i/59.94 and 1080i/50, as well as 720p/59.94 and 720p/50 scan formats. Major features include full digital signal processing, advanced digital detail correction with independent horizontal and vertical correction of red, green and blue signals, and optional anti-moiré filtering. Hybrid log gamma processing is operator-selectable for HDR picture origination, enabling high-contrast scenes to be televised with full picture detail across the entire brightness range from highlights, mid-range to shaded areas. Full digital signal handling is performed by the AXII processor operating in up to 38-bit depth. The HDK-73’s dockable structure allows studio configuration with fiber base stations as well as self-contained operation with a camera adapter for wireless or onsite recording applications. A fiber adapter can be attached directly to the camera head without need for external cables. External devices such as wireless transmission or a solid-state recorder can be attached for stand-alone operation, making the camera suitable for live sports, news gathering or field production. The HQLM-3120W is a 31 inch 4K/HD production monitor supporting BT 2020 UHD, HDTV, HDR, and SDR. 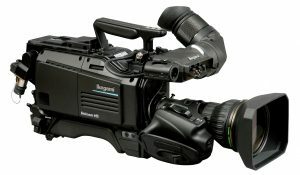 It is equipped with two 12G-SDI input channels as standard for efficient configuration with 4K equipment such as cameras and switchers. 3G-SDI, HD-SDI and HDMI inputs are also provided as standard. The monitor employs a 4096 x 2160 pixel UHD LCD panel with LED backlighting and can reproduce high-resolution 4K and 2K images. The HLM-2460W is a 24-inch Full-HD monitor with a 1920×1200 pixel 400 candela per square meter 10-bit resolution LCD panel supporting ITU 709 HLG. It offers very narrow front-to-back dimensions, lightweight, and low power consumption. Multi-format SDI, 3G-SDI, HDMI, Ethernet and VBS inputs are provided as standard. The HLM-2460W achieves real pixel allocation without resizing. Its gradation characteristics make it ideal for a wide range of broadcast applications, including use in monitor walls. A smaller version of the HLM-2460W with similar features, the HLM-1760WR features a 17-inch display again supporting ITU 709 HLG. The panel is a Full-HD 1920×1080 pixel 450 candela per square meter 10-bit resolution LCD. 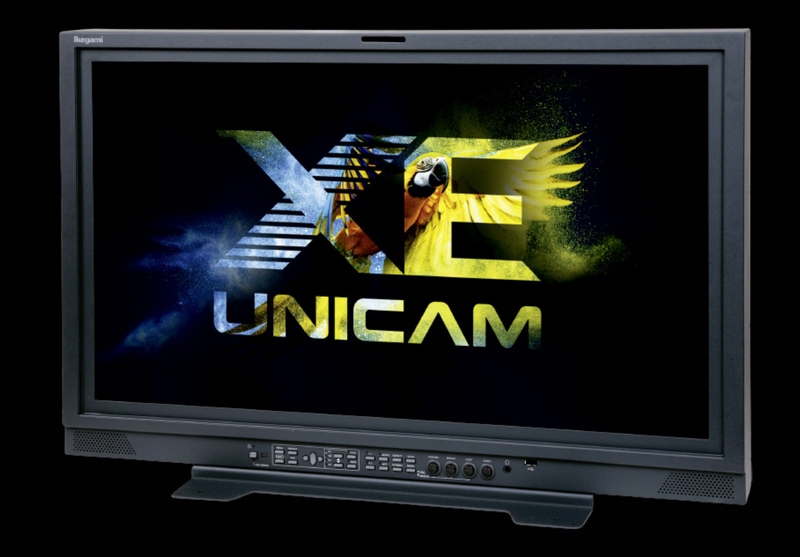 The Ikegami HLM-960WR is a highly compact multi-format LCD monitor with a 9-inch Full-HD 1920×1080 pixel 400 candela per square meter 8-bit resolution LCD panel supporting ITU 709 HLG. This model offers very narrow front-to-back dimensions, lightweight, AC or DC operation, and low power consumption. An optional battery bracket is available. A USB connector on the front panel allows setup file storage and recall as well as control-menu navigation via a plug-in pointing device.